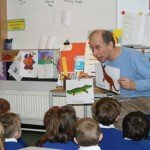 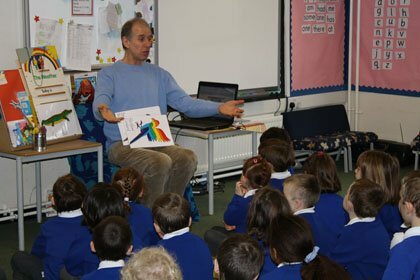 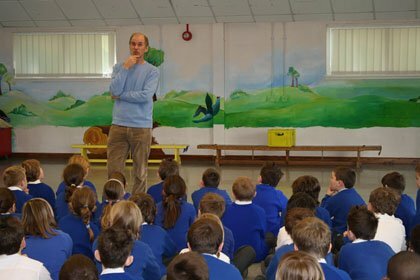 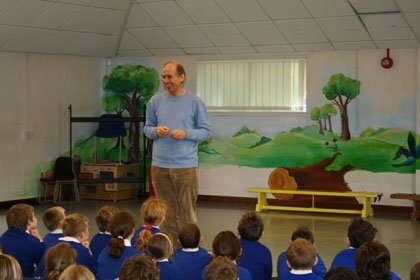 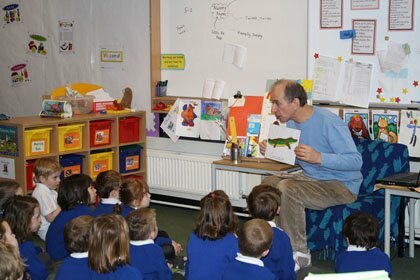 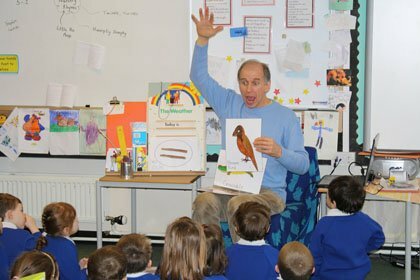 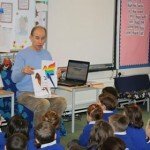 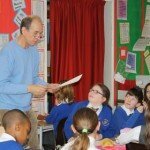 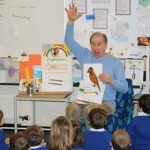 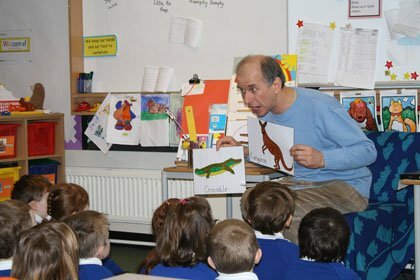 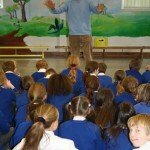 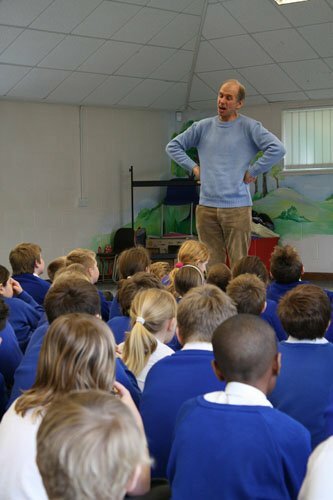 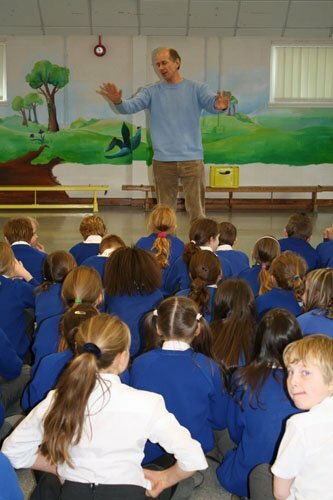 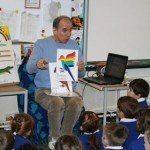 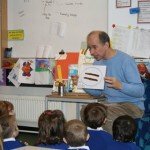 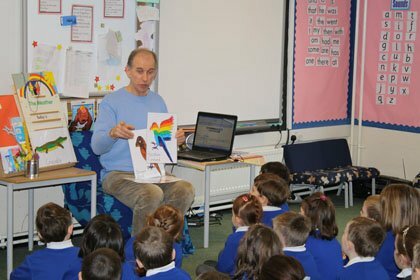 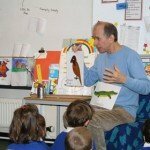 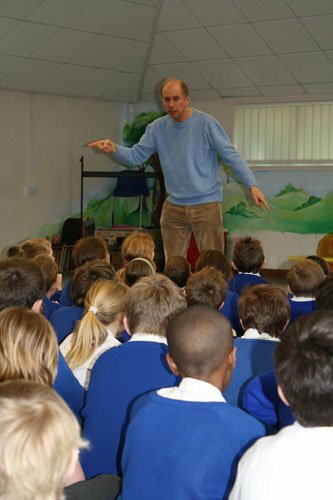 Described as a dynamic and distinctive storyteller, Colin tells tales that children love. 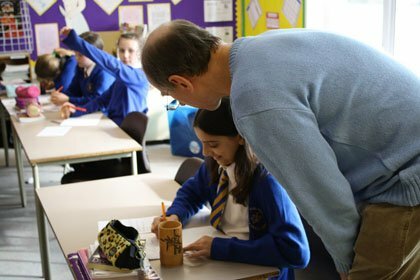 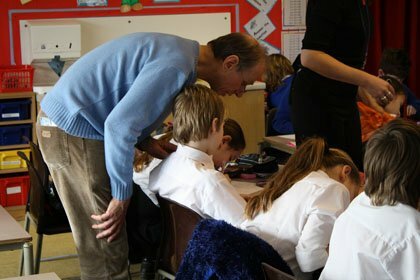 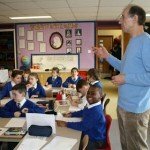 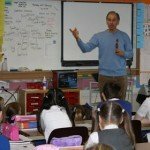 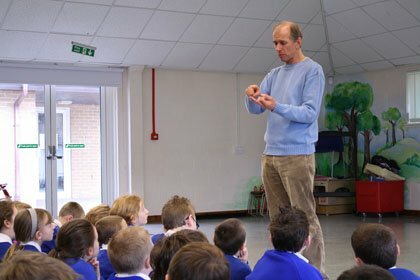 He uses the techniques and enthusiasm gained over 30 years of teaching, including eight years as a popular supply teacher. 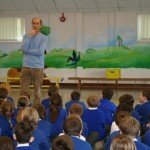 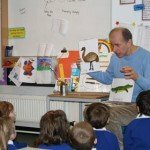 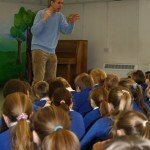 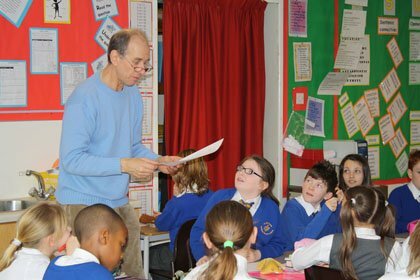 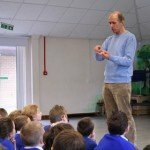 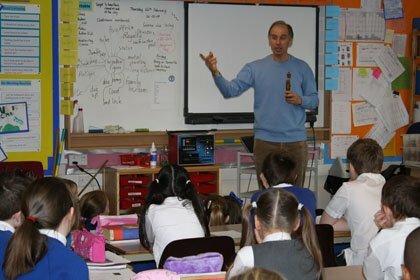 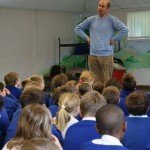 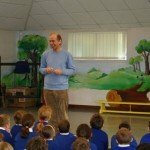 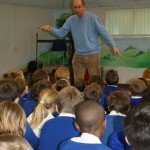 Colin’s workshops encourage both oral and written storytelling, helping children use their imaginations to produce their own original stories. 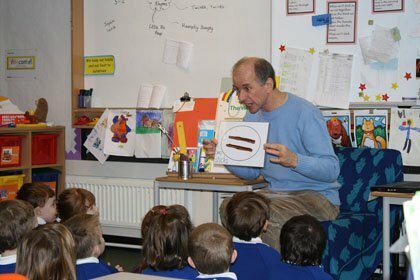 So if you want to put some imagination into your student’s stories, call Colin. 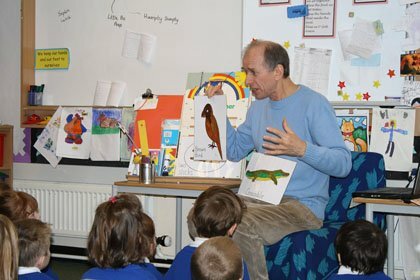 As well as drawing on the traditional repertoire, Colin tells stories he has written especially for children. 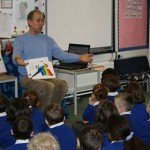 Younger children love ‘The Sticker Monster’ and ‘The Squeaky Pen’, whilst ‘Big Green Walking Cloak’ is great for all ages. 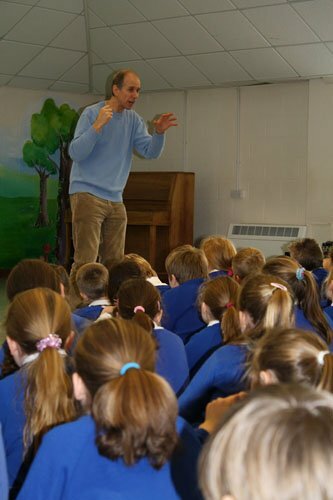 “The Pumpkin Tree’ is perfect for older juniors, as is ‘Two Brothers’ and ‘The Ogres Gold’. 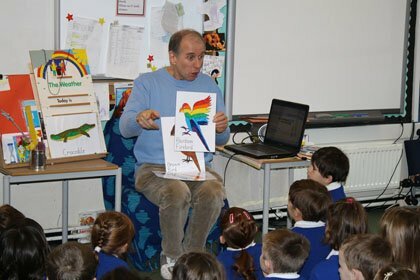 Colin has tales for all occasions and can tell on many themes, such as Greece, India and Australia. 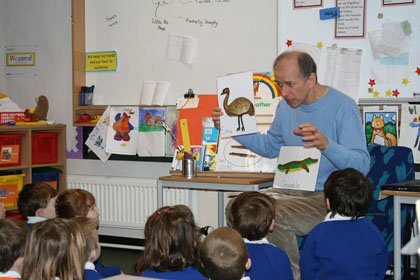 Younger children like Annansi and Brer Rabbit. 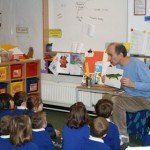 They love making up their own stories using the characters in the stories and adding their own. 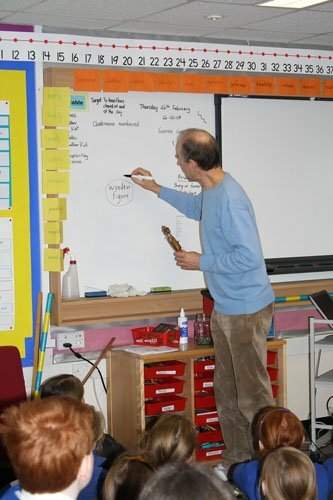 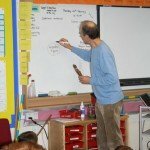 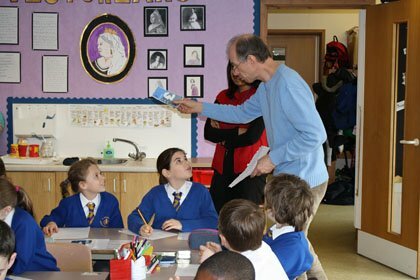 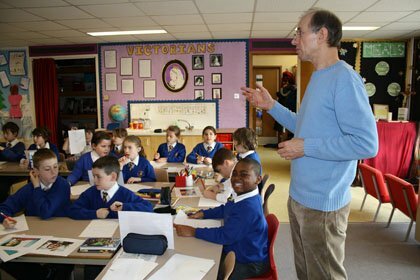 Colin’s sessions are flexible and can be shaped to suit the needs of individual schools.